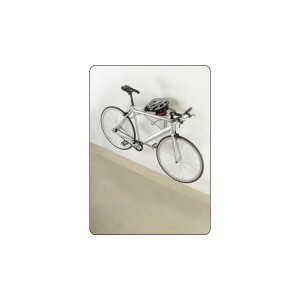 Make space in your garage while keeping your bike easily accessible. 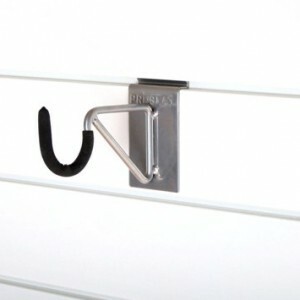 Designed to work with the Proslat PVC slatwall, this super duty multi purpose hook is perfect for keeping bikes and various other tools and equipment off the floor and easily accessible. 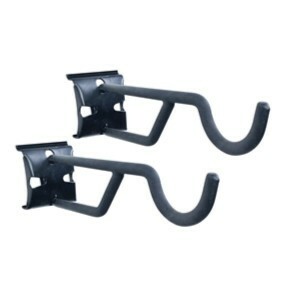 The horizontal bike hook (set of 2 hooks) will store one bike horizontally against the wall. 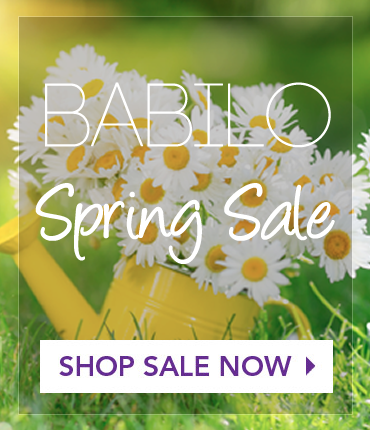 Makes your bicycles easily accessible to both adults and children. 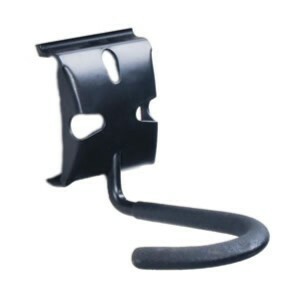 Designed to fit the VersaTrac slatwall panel. 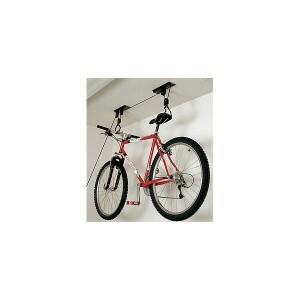 The vertical bike hook will hang one bike vertically by the front wheel extending out from the wall. 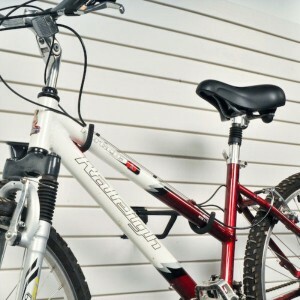 Keep your bikes organized and easily accessible. 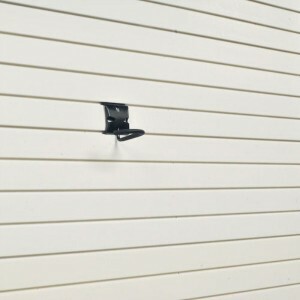 Designed to fit the VersaTrac slatwall panel.